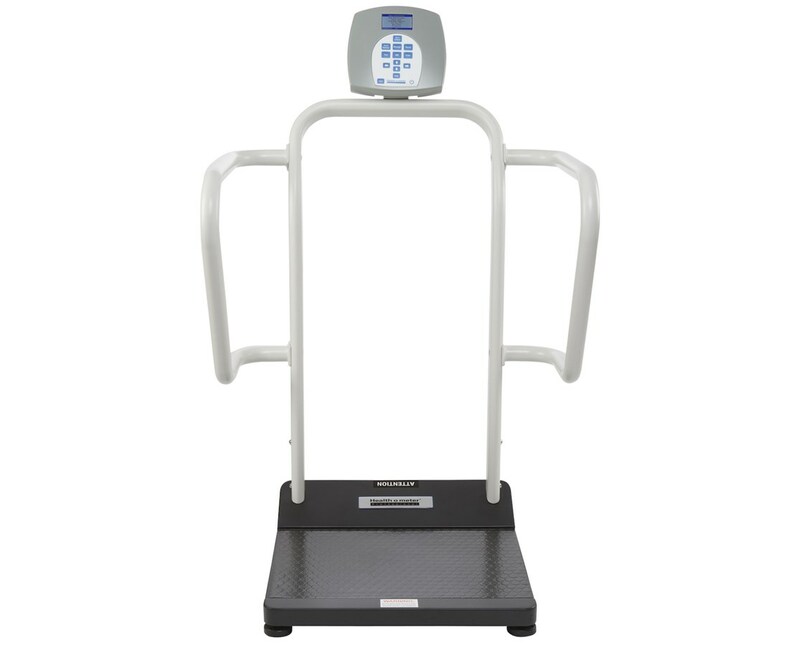 The 1100KL Health-o-meter Professional Bariatric Digital Stand-On Scale is listed as one of the top bariatric scales in the industry. Produced using hospital grade construction including a durable steel structure, this high quality scale allows for an easy, safe, and accurate reading. With Motions Sensing Technology which tolerates movement during the weighing process, and a large non-slip platform enabling easy access, this bariatric scale is the ideal choice for any health care facility. The 1100KL bariatric scale has a capacity of 1000 lb and is equipped with handrails that may be used during the weighing process. Heavy duty wheels are installed at the rear of the platform for effortless transportation. The 180° swivel display can quickly and easily perform a weighing, while ensuring your patients privacy as well. 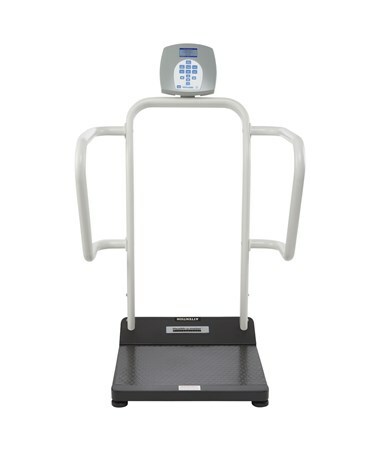 Some of the many features included with this scale are LB / KG Conversion, LB / KG lockout, Body Mass Index (BMI), Zero Out / Tare, Hold / Release, Reweigh, Auto Zero, and Auto Off. A 120V adaptor is included for your convenience and alternatively, you may power the scale with 6 AA batteries (not included). With a 2 year warranty against any defects, the 1100KL Bariatric Scales is a model scale for assisted weighing, as well as standard weighing operations. Please select your preference from the dropdown menu above. Platform 18" x 22" x 2.3"
Overall Measurements 29.25" x 31" x 49.5"